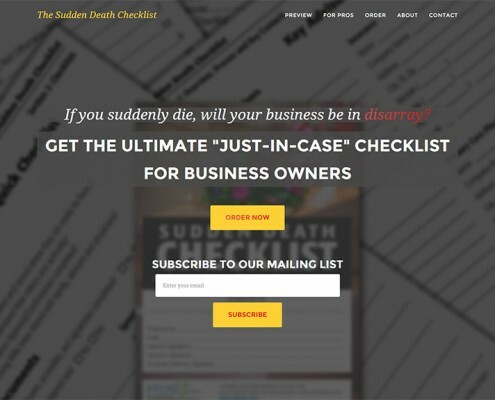 ESOP professional and long-time 3PRIME client Jack Veale has authored a “Sudden Death Checklist” of all the most important information a business owner needs to keep in one place in case they are incapacitated and someone else needs to take the reins of the business. The Checklist is meant for business owners, as well as professionals that work with business owners, such as accountants, estate planners, lawyers and others. 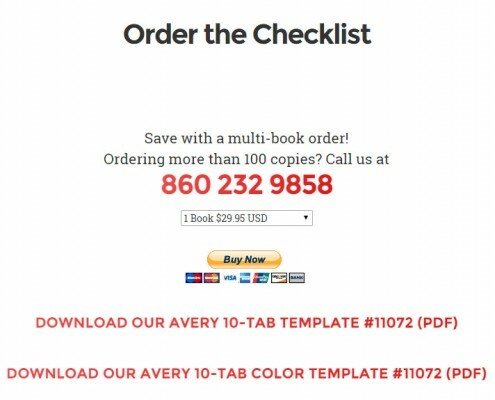 Mr. Veale wanted a one-page site for the Checklist which would present the book and allow customers to order copies, one or in bulk. 3PRIME used a simple but stylish responsive Bootstrap template to build a simple, effective and informative site for the Checklist. 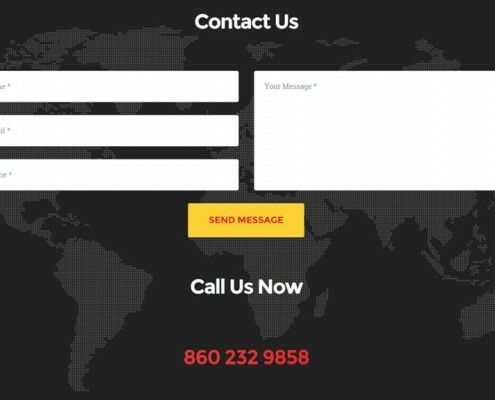 The page integrates a number of screenshots of the book, a Paypal checkout, and a contact form with a separate thank you landing page to facilitate tracking.